October is, among other things, National Dyslexia Awareness Month. But today’s blog post is timely no matter the date, because a delayed diagnosis of a child’s learning difference exhausts every resource a parent might have. If have a concern about dyslexia, we strongly encourage you to have your child tested. This is a service schools must provide if you request it. You can also do a relatively quick, at-home dyslexia screener, or find a child psychologist who can do a full evaluation. Nancy Weinstein, the founder of Mindprint, starts us off with a brief introduction, followed by our Q&A. Nancy: Although each family’s situation is unique, this story is all too familiar. Parents know they have a bright child but something feels “wrong”. Despite well-informed suspicions, the school disagrees, citing the child’s performance at grade level or even above. Parents should feel empowered to advocate for their children. This may mean questioning teachers or school administrators. Estimates of dyslexia in children vary, but are typically cited at 1 in 10 students. You have a right to demand that the school assess your child. Tell us the process by that led to the dyslexia diagnosis. As early as preschool, our son had difficulty with handwriting. In kindergarten his difficulties continued, although he worked extremely hard. Copying work was almost impossible for him and a frustrating experience to watch. He had no difficulty learning his sight words on flash cards. However, when those same words appeared in a book he had difficulty recognizing them. In first grade he took an entrance exam since he was transferring in from a private kindergarten into public school. He did extremely well on his placement tests. Although I expressed concerns about his reading progress, I was assured repeatedly that children develop at different rates. Also, he was one of the youngest in his grade and a boy so it was not uncommon for him to appear to be behind. The school reassured me that he would have no trouble catching up. By the middle of first grade, his teacher recommended that he receive reading support. Although he was reading on grade level, he wasn’t progressing as they had predicted. We worked hard on his reading all summer and by the start of second grade he was reading well above grade level. Notwithstanding this progress, his struggles continued in second grade. He hated writing. And all of the reading progress that we had made over the summer seemed to be fading. The entire process of reading was exhausting for him. He took the CogAT exam at the end of second grade and scored well enough to be placed in Advanced Level Reading. The thought of him in ALR was laughable because he simply wasn’t a fluent reader. However, he understood and could analyze what he read at an exceptional level. The school representatives could not explain the discrepancy between his reading fluency and his CogAT scores. By third grade, he developed anxiety about school. He came home one day with bruises covering his arm. When I asked him what had happened he told me that he was sucking on his arm during reading. He was upset that everyone in the class was done with their assignment and he was not close to being finished. He told me that he hated himself because he was stupid. At that point I knew that something needed to change but I did not know where to turn. Shortly after, a friend shared with me that he had a similar experience with his child and gave us the name of his child psychologist. That week my husband I and met with the doctor and then immediately started the multi-session evaluation process. It took approximately 2 1/2 months. At the end, the psychologist told us our son had dyslexia. How did that understanding affect the family? A dyslexia diagnosis literally changes your life. After the initial shock wore off, my husband and I set about learning everything there was to know about dyslexia in children. Our psychologist recommended a reading specialist. We started that immediately. Most significantly, we were also able to explain to our son why he was struggling. Instead of focusing on the things that he couldn’t do, from that day forward we focused on all of things that he could do – many of them exceptionally well. Dyslexia makes certain things more difficult for him, but it also allows him to think in ways that are beyond what either my husband or I could ever achieve. I wish that I had his skill for logic games – I would have done much better on the LSAT! 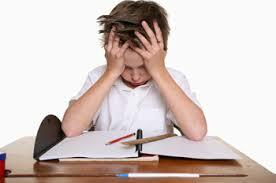 What changed at school and in your child’s experience with schoolwork as a result? Once receiving the diagnosis, we immediately met with the school representatives and started the process of obtaining an Individualized Education Plan (IEP) for him. I did not expect, or want, the school to take on the responsibility of addressing his reading issues. However, there needed to be certain protections put into place to relieve some of the anxiety that he felt. Had the unidentified nature of your son’s dyslexia created stress or worry for you even as the school suggested things were fine? The period from pre-school through the time of the diagnosis was difficult. It contributed to my decision to leave work and stay home full time. I thought that once I dedicated all of my attention to him, this would resolve itself. However, it seemed like no matter how much I tried, he wasn’t improving. It is a humbling experience to realize that you cannot help your own child. At times, I felt like I was beating my head against the wall with the school. While I didn’t understand the nature of his struggles, I knew that there had to be some type of learning difference. The school couldn’t explain why he was struggling. They seemed content to push it off as he was “fine” and that the issues would resolve themselves. I knew he wasn’t “fine” but had no idea where to turn. How active a role did you have in pursuing the diagnosis? Did you feel you had to be your child’s advocate, or did you find appropriate concern and follow-up by the people you felt should be looking out for such things? We were very proactive after the initial diagnosis. Our son was performing consistently on grade level. I have found that the school simply does not understand dyslexia in children. That said, the school has been extremely accommodating to the modifications that I request. I am lucky that we are in a school that is receptive. I would also add that the teachers have been extremely supportive and responsive. What advice would you have for other parents? My advice to parents would be to understand and accept that they are the ones responsible for their child’s educational experience. The job is too important to delegate. If there is a problem with your child’s learning, it is important to identify exactly what the issue is. You need interventions or enrichment opportunities that are specific to their needs. Dyslexia in children is common. Have your child tested if you suspect any difficulties. Did you get the sense that the school district could have provided anything comparable to what your clinical child psychologist provided or that they reimburse families who eventually seek outside expertise? Our son was performing consistently at or above grade level, with the exception of his written work. His issue was the level of fatigue and frustration it took to achieve that, which is something the school really doesn’t consider as long as the scores are where they should be. His teachers in both first and second grade sent him out for generalized reading support. However, it wasn’t intense enough or directed to his specific needs to make a significant impact. Second, our doctor’s analysis was in-depth, spread over a period of 2 months. That would not have happened in school. With regard to reimbursement, while that would have been nice since this testing was not reimbursable through our health insurance and was very expensive. One of the factors that made this diagnosis more complicated is that our son scores in the gifted range on many of the tests. Eventually, as the workload increased, this would have become more and more difficult for him and we would have started to see a decline in performance to the point where he might have become eligible for testing by the school. Our doctor stressed that, typically, he does not see kids like our son until middle or even high school when they are so tired, frustrated and disillusioned that intervention becomes more difficult.